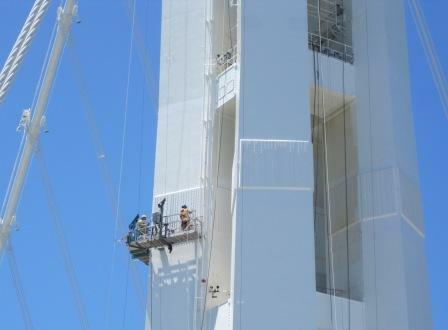 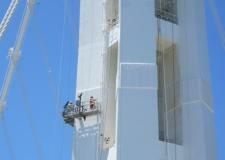 Spider’s experience in putting contractors to work at height on bridges is unparalleled. We have a solution to overcome the most unique, demanding access challenges for all phases of bridge construction, maintenance, painting, blasting and repair projects. 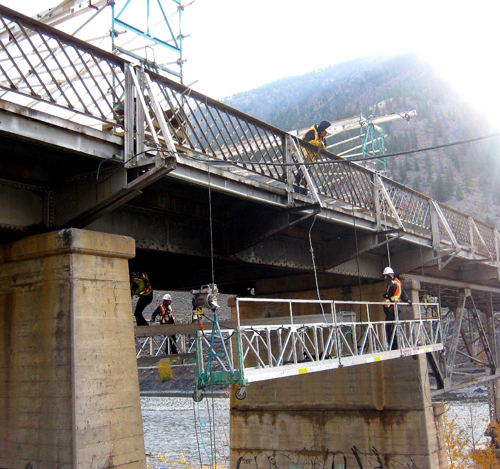 Whether standard swing stages and work baskets or custom float platforms , Spider can get bridge contractors to the work safely every time. 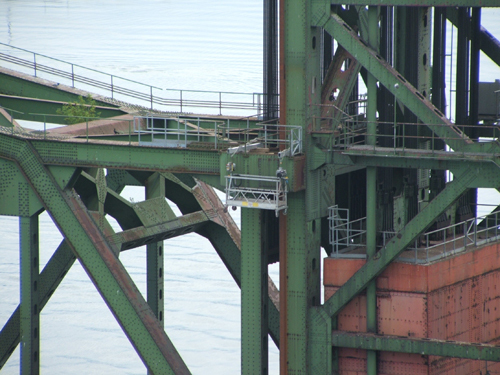 Spider fall protection solutions and ST-17 work baskets equipped with flydecks enabled safe access for renovations to the truss bridge’s trolley system. 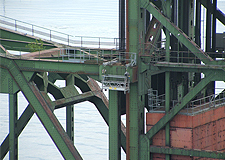 Spider provided swingstages, traction hoists, rolling Outrigger Beam Support Frames (OBSF), and on-site rigging expertise for inspection of bridge’s underside. 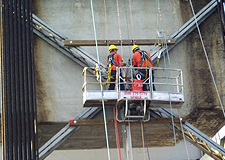 Spider engineered a custom suspended access solution including a knock-down modular platform powered by traction hoists and equipped with a specialized beam clamp, on-site rigging services, and Competent Person Training for maintenance work on the columns of this high-traffic bridge. 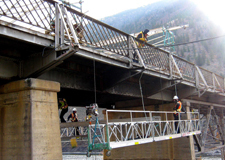 Throughout the 8-year construction of this bridge, Spider provided standard suspended scaffolding rental equipment, a custom platform, Competent Person Training, on-site User Training, and a variety of fall protection equipment including harnesses, safety lines, rope grabs, and lanyards.